We provide integrated smart home automation solutions for new and existing homes. A smart home brings together all the aspects of your home. You can expect to control everything in your home with one simple and intuitive interface. This same interface is available across all your devices such as your phone, tv's and touch screens. You can start with one room and expand as you like to your entire home over time, the choice is yours. Some of the key solutions we provide are: •Safety & Security - keyless entry, garage door control, integrated security cameras and feeds, motion detection •Entertainment - music throughout your home, mood lighting, voice assistant, private theatre room install and setup •Climate Control - turning on and off air conditioning, fans, curtain, blinds and louvers in the one simple motion Give us a call or drop into our Smart Home Experience Centre in Cairns. 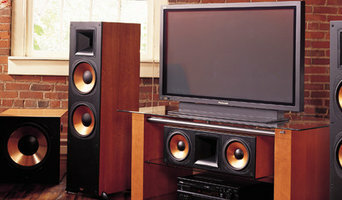 Your Cairns home cinema could soon transform into a media room that fulfils many functions. Some elements - like hidden cabling, concealed televisions and speakers - can be expensive, while home theatre designers have other little tricks that are much more affordable. Invest your money wisely and you could have a cosy entertainment room in your Cairns, Queensland home fit for a binge-sitting of Game of Thrones series as much as a perfect sporting finals experience. Find a home theatre designer or home automation specialist on Houzz. Narrow your search in the Professionals section of the website to Cairns, Queensland home media designers. You can also look through Cairns, Queensland photos by style to find a room you like, then contact the professional who designed it.